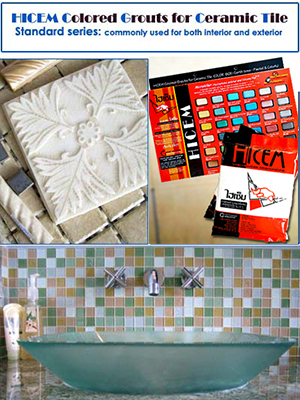 PRODUCT DESCRIPTION Hicem Colored Grouts for Ceramic Tile: CGCT-standard series (Hicem adhesive joint filler) are highly efficient and standard grouts for filling in the gaps between ceramic tiles. They are composed of white portland cement, binder, pigments, and the finest chemical additives from Germany to promote bonding and resistance to harmful effects from moisture. Hicem CGCT is quality controlled, to blend performance and color, to whatever tile project is contemplated.General use: As in any grout application, time and attention will yield an optimum result. The use of Hicem CGCT- standard series, with care given to tile spacing and placement, will produce the finest performance.Application area joint gap 2-5 mm. typical area such as bathroom, kitchen, living room, public area etc. To ensure a high standard of finish, careful attention should be given to the selection of methods and materials to be adopted in filling and finishing the joints. For plain edge tiles, joints of approximately 2-5 mm. should be left around each tile by inserting spacing pegs of suitable thickness between the tiles as fixing proceeds. Grouting for the joints may be carried out at any time to suit the convenience of the work, although it is essential to allow sufficient time to claps to ensure adequate setting of the bed to avoid disturbance of the finishing during the growth operation. However, it is not advisable to delay grouting unduly as the open joints may be exposed to general building dust and deleterious material.1. Mix Hicem-CGCT into clean water approximately 3:1 (by volume) until it becomes consistency of peanut butter. Let stand about 8-10 mins. 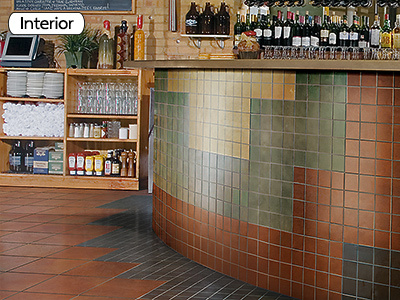 2.Apply grouts with a rubber squeegee or grouting trowel. Work back and forth over the area until the joints are completely filled. Excess grout should be removed from the tiles with the aid of a rubber squeegee or grouting trowel and a damp, not wet cloth. 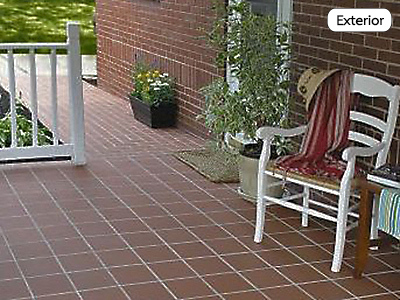 :- Typically Colored Grout for Ceramic Tile: CGCT) is not a good substrate for microorganism because of base-property. Whatever, it is possible for fungi or bacteria growth according to moisture content from cleaning or daily usage. Hicem water repellent coating conducts to repel drop of water effectively.2.Cleaning solutions:-To extend texture of CGCT, mild cleansing solutions is needed. High-concentrate of acid-base of cleanser brings about erosion effect.3.rubbing action:- Surface cleaning should be gently polish by sponge or brush. Using bristle together with concentrate-cleanser cause damage to both sanitary ware and CGCT texture.